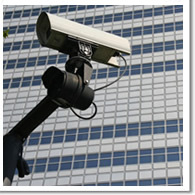 Closed circuit television or CCTV is widely used as an added security measure. Companies use CCTV to oversee areas that would normally go unmonitored. Because of these advantages, many insurance companies see closed circuit television as an asset that may reduce your rates. Burts Security Center installs and services closed circuit television using dependable, professional equipment. Contact Us for further details.